1/4 cup of capers, rinsed. Preheat oven to 350 degrees. 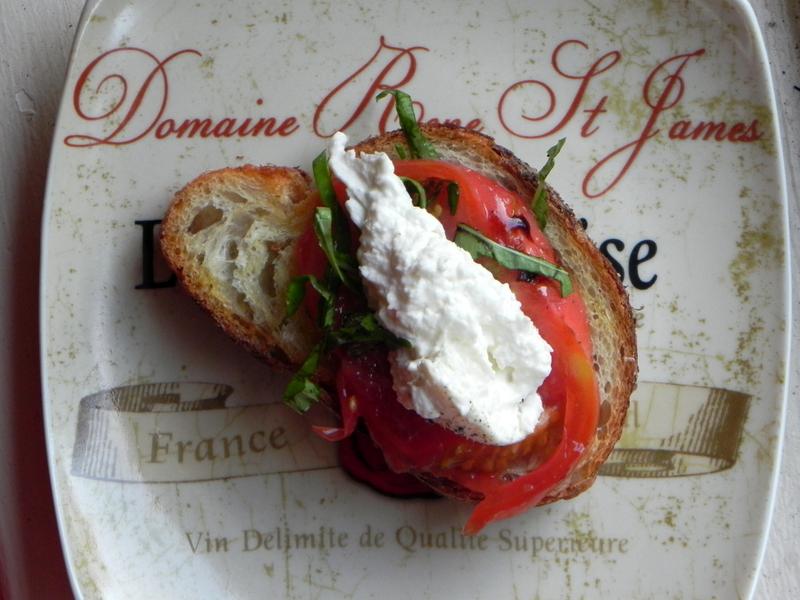 Slice tomatoes, lengthwise in 1/3″ thickness. In a meausuring glass, combine garlic, red pepper flakes, olive oil and microwave for 45 seconds. Let it sit for at least five minutes for the flavors to blend. Arrange sliced tomatoes on a serving plate. Meanwhile, brush the bread with the olive oil and garlic mixture and toast in oven for 5-10 minutes. 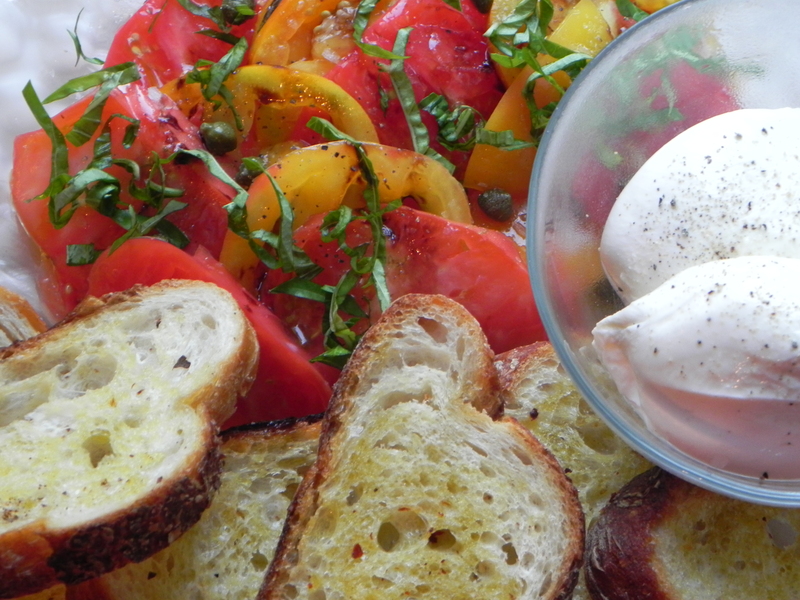 After toasted, add the bread to the plate, along with the burrata in a small serving bowl. Drizzle the remaining olive oil and garlic mixture over the tomatoes. Add the capers a few drops of balsamic vinegar, basil, parmesan and crushed maldon sea salt. Serve at room temperature.